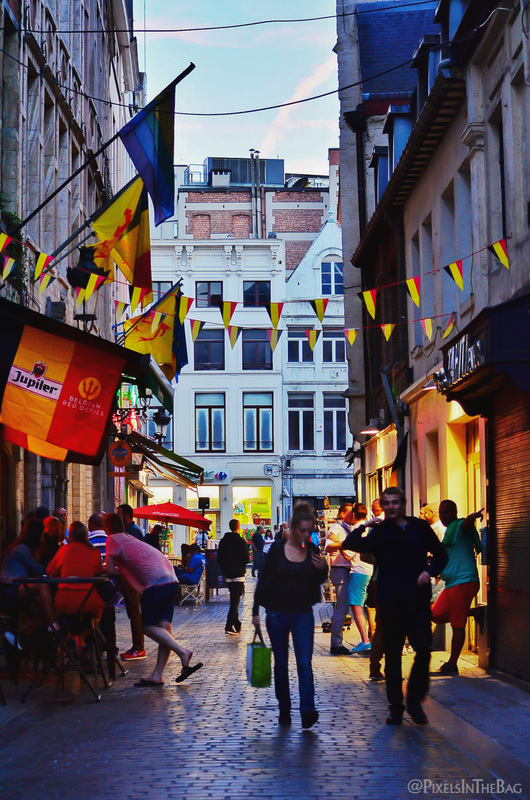 This last Sunday, the entirety of Belgium shook in nail-biting anxiousness as their beloved Red Devils squared off against the Russian national team in the FIFA World Cup. After 88 torturous minutes, a goal was scored which caused a cheer so loud it could be heard from Brussels to Rio: the little Belgians were qualified for the next round! Now, we’re not sports fans by any stretch of the imagination, but we were very glad to know that we’d be in the pre-quarter finals. And we certainly couldn’t miss the after-party which was going to be happening on the streets, everywhere at once. We drove downtown but found ourselves on foot after a while since every single street was inundated with tri-colored traffic... on a Sunday evening at 9 pm! Of course, fans drunk with happiness and hanging out in the middle of the road didn’t help with the congestion. Very few people were complaining, however, since the entire city was singing and cheering and laughing and jubilating and everything else you do when you’re having the time of your life. Even the media were out and about to capture the emotion which permeated the airwaves. Luckily, we were there to capture their own. The rest of the evening was a melting pot of car horns and happiness, but enough talk. Just get comfortable and enjoy a few more snaps. Even long after we were long gone, the true fans carried on the party indoors, certainly next to a cold Belgian pint or two (or more). How about you, folks? Have you ever found yourself in such lovely company in the middle of a nation-wide shindig? Perhaps you were actually here in Belgium when it all happened? Why don’t you share your version of the events down in the comments.